Located two blocks from the beach this is a great opportunity to start fresh. Property being sold for land value xD; xA;only with 7,500sf. Imagine the possibilities. Vacant lot next door also available mls 201904180. Do not disturb owner xD; xA;or walk on property without an appointment. 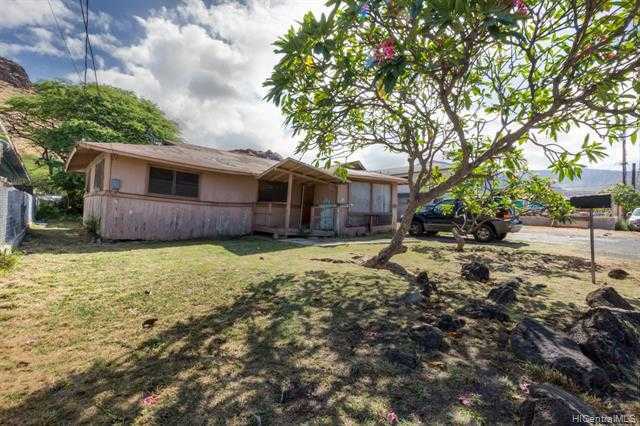 Please, send me more information on this property: MLS# 201904181 – $300,000 – 87-1442 Akowai Road, Waianae, HI.